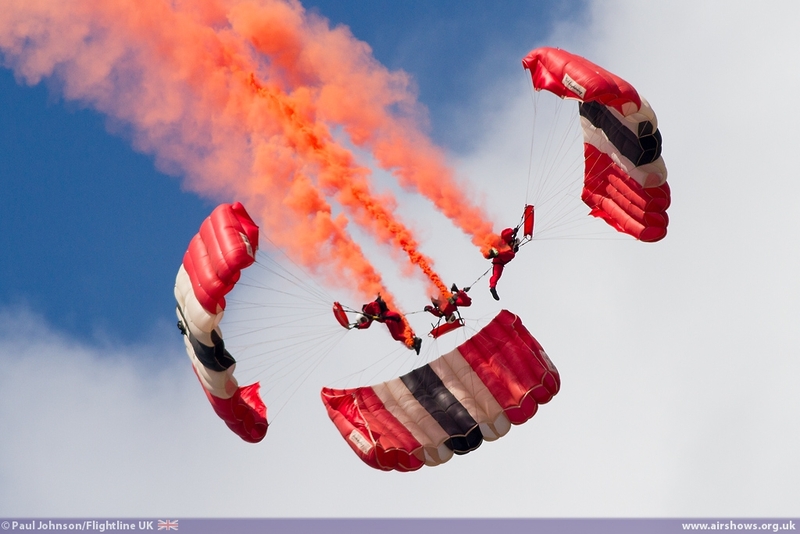 Farnborough International Airshow is the biggest aviation trade event in the UK bringing together the world's aerospace companies to show off their wares to all their potential customers. 2014 saw some major changes to the event that split the event in two - the "Trade Week" and a very different "Public Airshow" at the weekend. 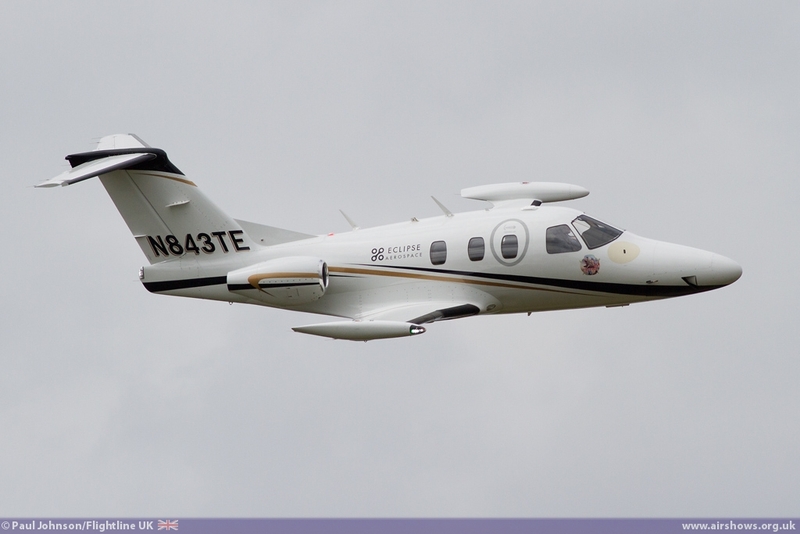 In the first of two reports, Flightline UK looks the at the Trade part of the show and the participating aircraft that were on show. 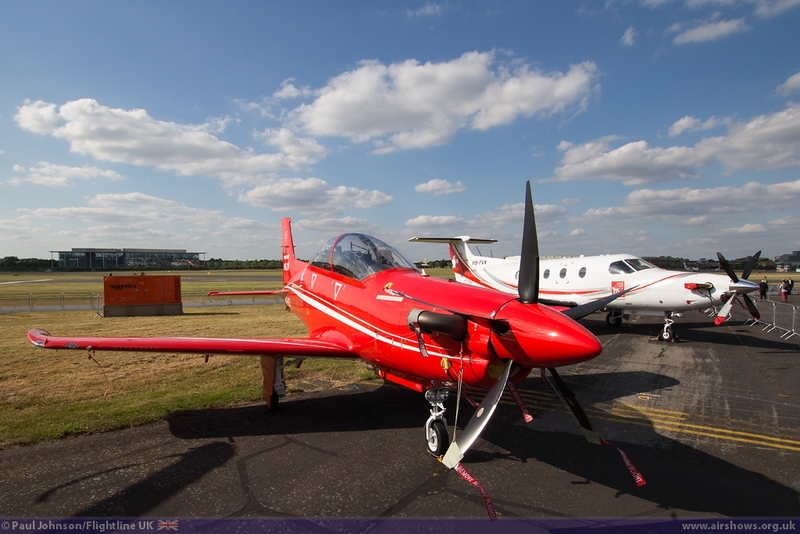 The Farnborough International Airshow is event of great significance to the UK economy. 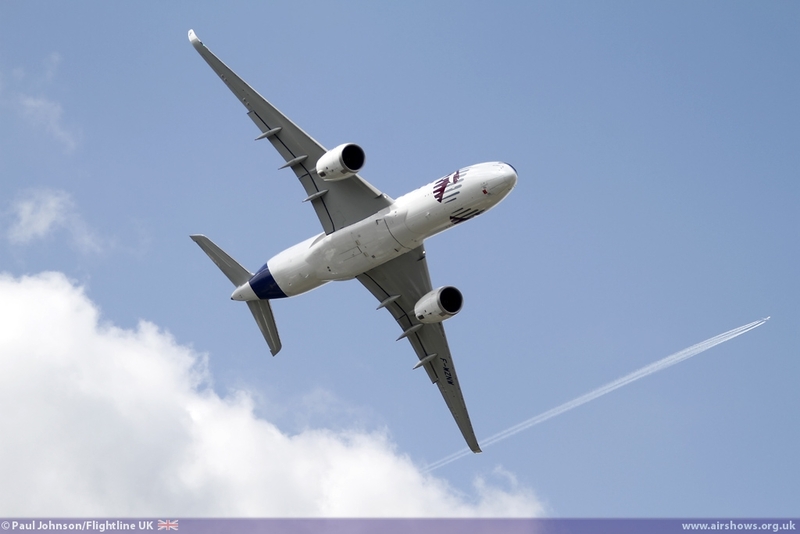 Though it is now very much a global event featuring companies from around the world, it is still a massive shop window for the well-respected UK aerospace industry. 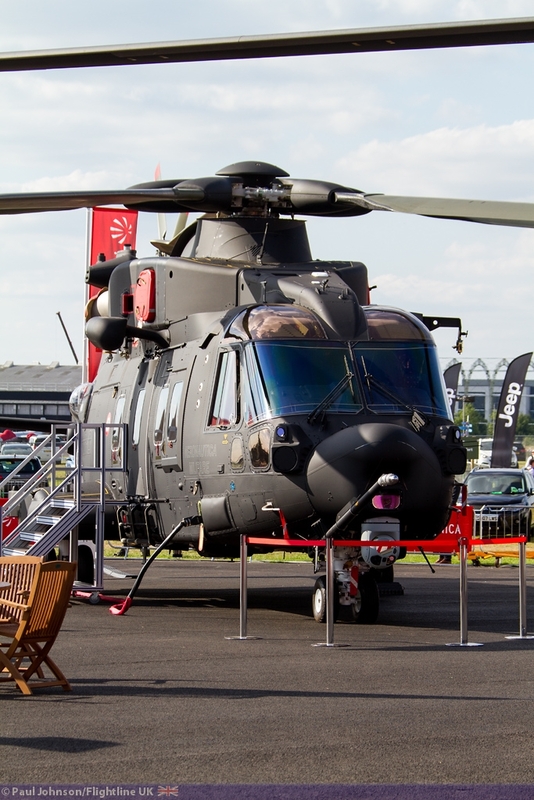 The show does not just feature defence or commercial airliner technology, but covers all facets of aerospace including the rapidly growing business aviation sector as well the latest technology in space exploration. Underlining the significance of the event, the show was opened by the Prime Minister, Rt Hon. David Cameron. During his visit he announced a £1.1bn investment in capabilities for the armed forces and set out the action plan taken by the Defence Growth Partnership of industry and Government, as part of the long-term economic plan to improve competitiveness, boost the UK defence sector which is vital to economic growth, and make sure our Armed Forces have the best equipment in the world. 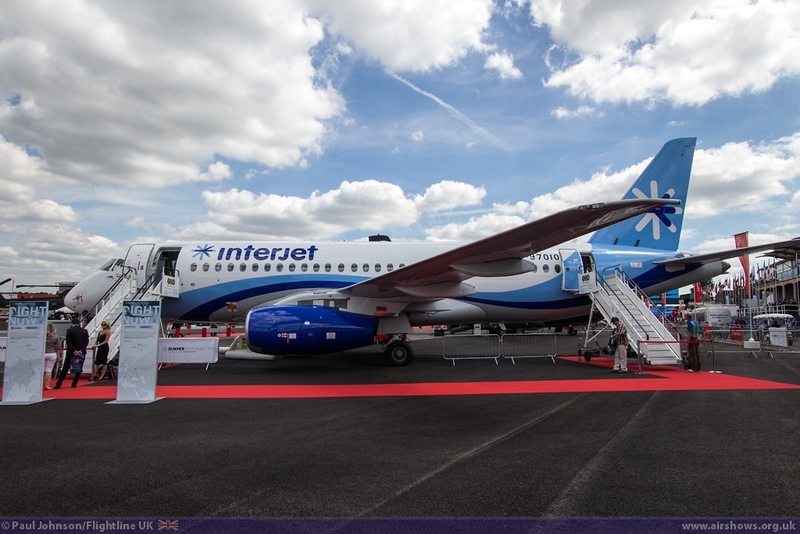 The opening day of the event was the biggest in terms of business ever within Farnborough history with orders and commitments totalling approximately US$41.9bn - over three times that announced on the first day of 2012. 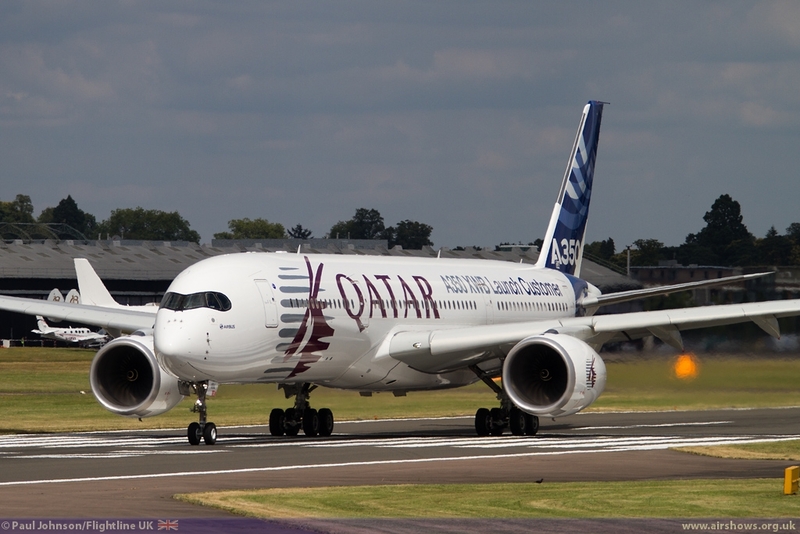 The day also saw the launch of the Airbus A330-800neo and the A330-900neo (New Engine Option) as well as the launch of the Trent 7000 which will be the exclusive engine on the A330neo. 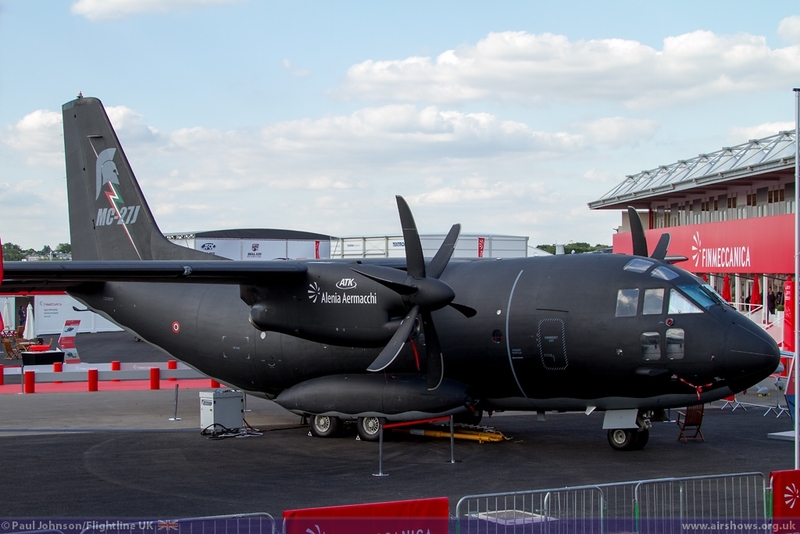 The organisers, Farnborough International Limited, have been developing the show and more importantly the show site to cement the events place in the aerospace business. 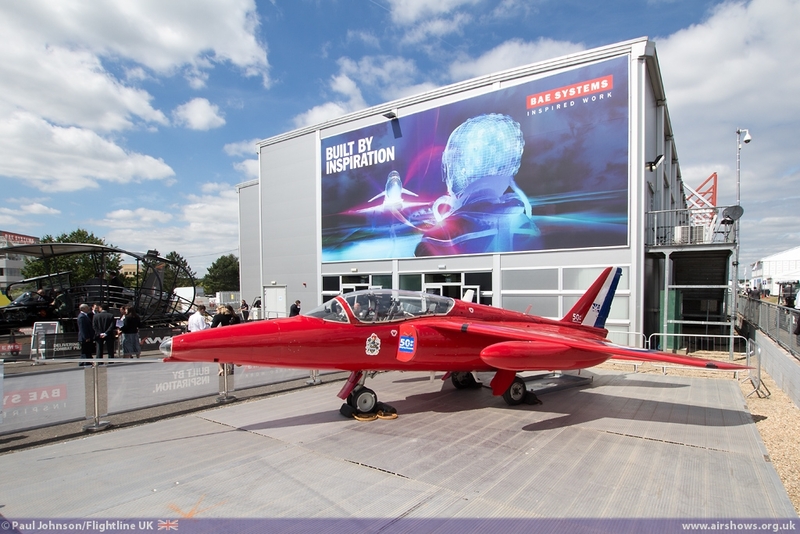 Earlier in May, the new permanent Chalet Row A development was opening alongside the impressive FIVE facilities which are used by BAE Systems during the show. Plans for the future include the development of a permanent Hall 1 and Media Centre which will not only enhance the show, but also be available year round for other events to use. 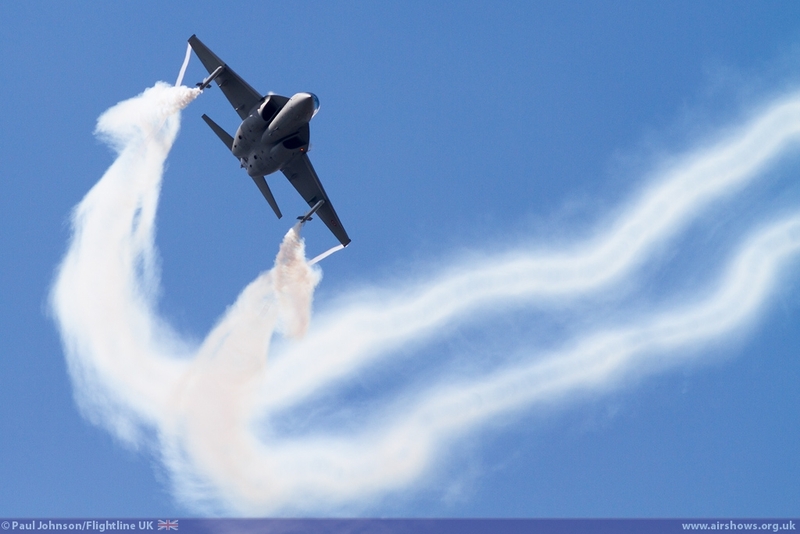 As with RIAT, the major talking point for Farnborough was the non-appearance of the F-35B Lightning II Joint Strike Fighters from the Royal Air Force and United States Marine Corps. 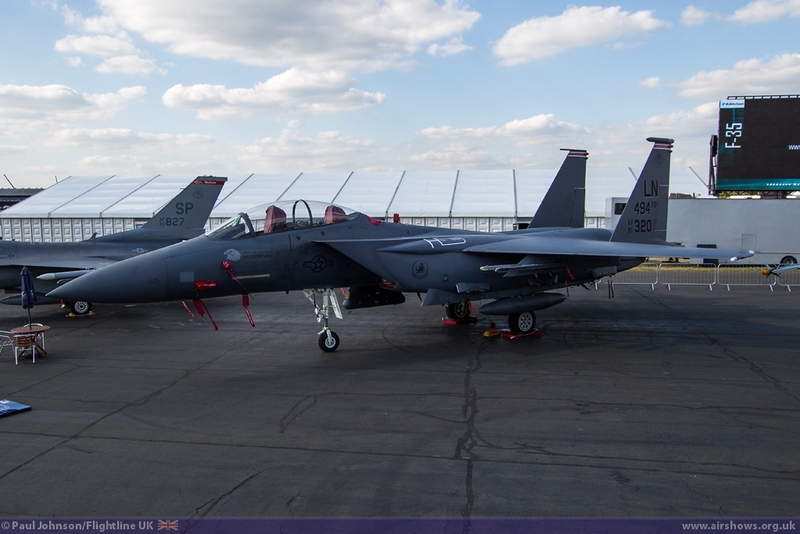 With the real aircraft not there it was left to the plastic replica used at the launch of HMS Queen Elizabeth two weeks earlier to represent the type in the United States Department of Defense static park. 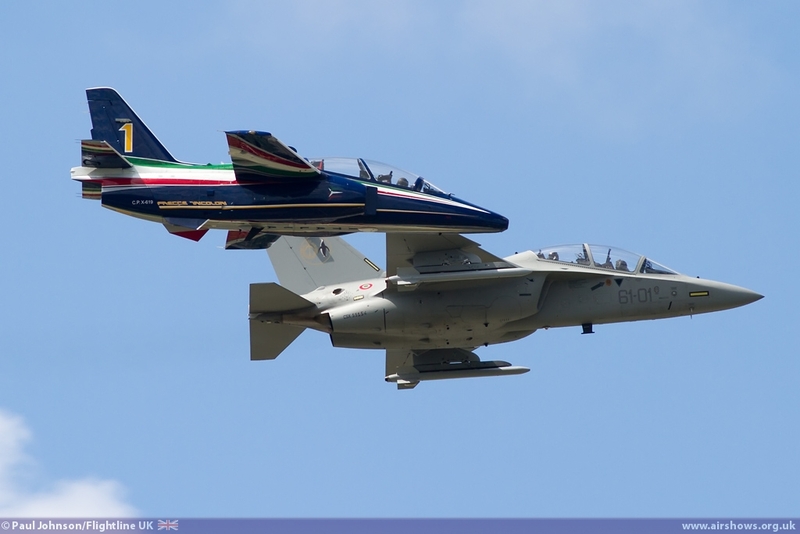 The irony that the aircraft the F-35B replaces in RAF and USMC service, the AV-8B Harrier II (from the Spanish Navy) was parked a matter of metres away was not lost on many visitors! 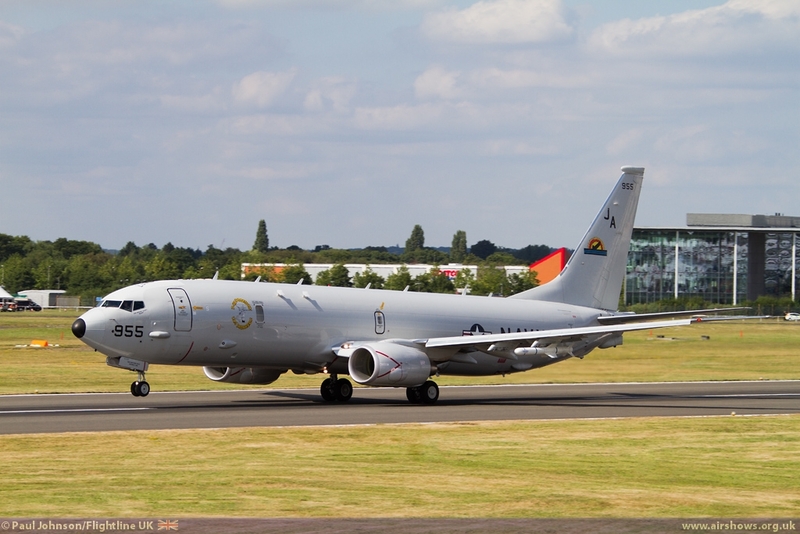 Farnborough did see considerable support from the United Department of Defense this year despite the obvious limitations placed on them by sequestration. 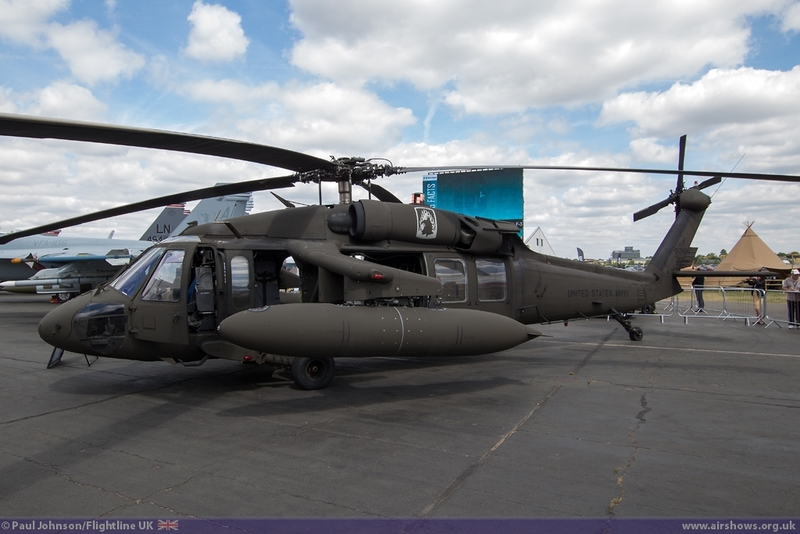 On the ground were two USAFE Lockheed Martin F-16CJ Fighting Falcons, a USAFE Boeing F-15E Strike Eagle and a US Army Sikorsky UH-60A Blackhawk. 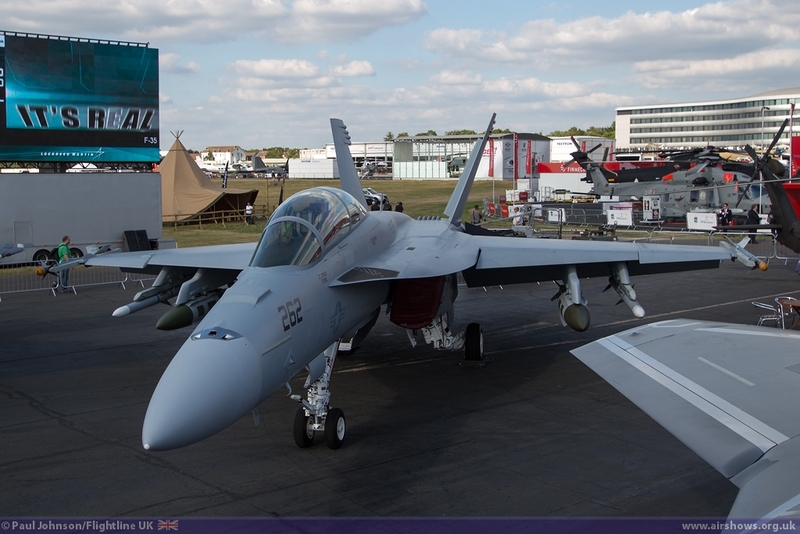 Boeing also contribution a pair of F/A-18F Super Hornets borrowed from VFA-106 with one on static display and the other contributing to the flying display in the hands of Boeing Test Pilots. 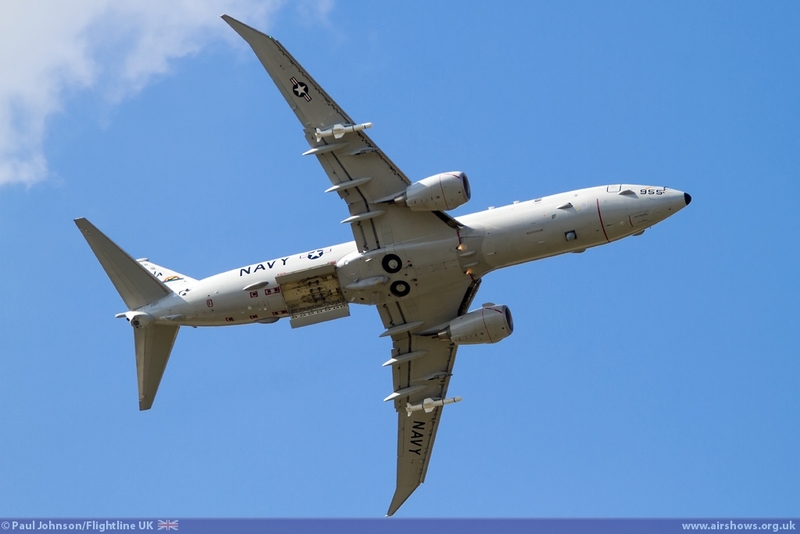 Completing the US military participation was the US Navy Boeing P-8A Poseidon from VX-1. 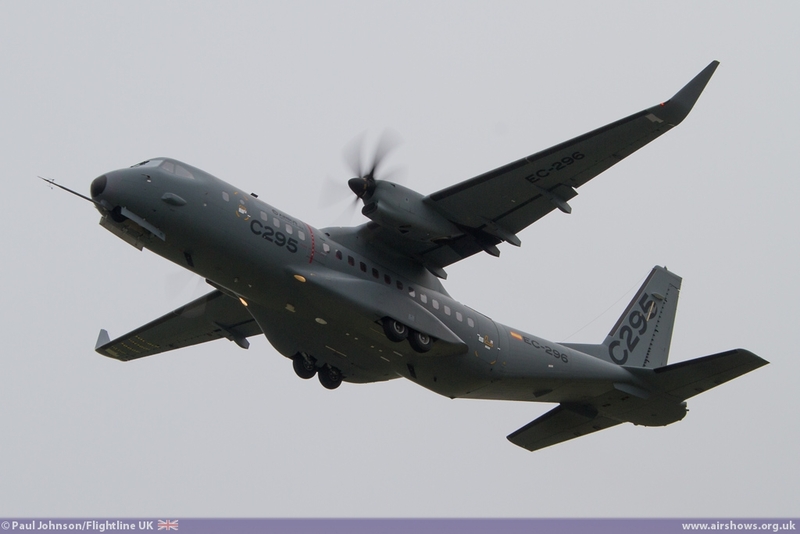 The aircraft as well as bring on static display took part in the daily flying programme. 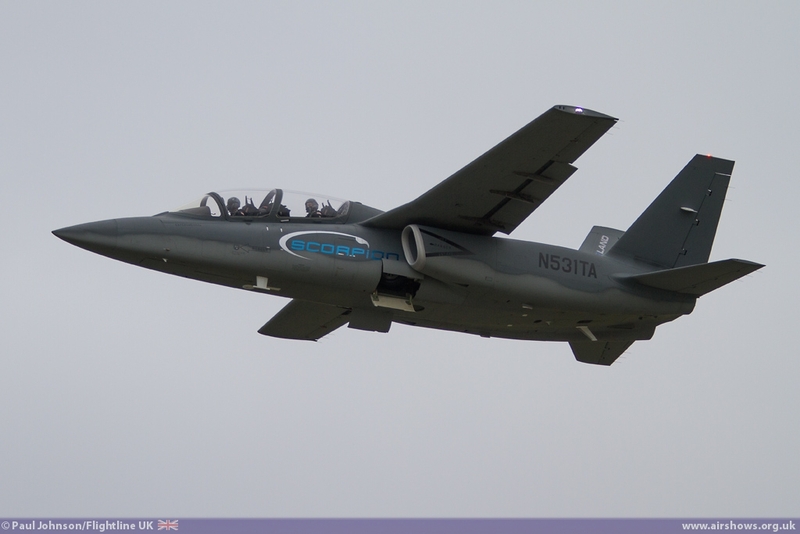 Another military type aircraft making its Farnborough debut was the Textron AirLand Scorpion. 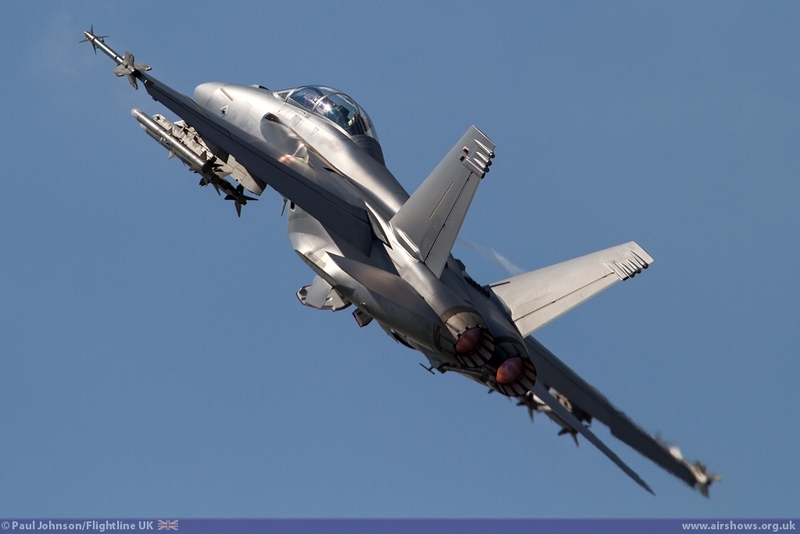 Designed around "off-the-shelf" technology including from Business jets, the makers see the Scorpion as a cost effective solution for an affordable close air support and training jet - it certainly looks the part and hopefully generated a lot of interest. 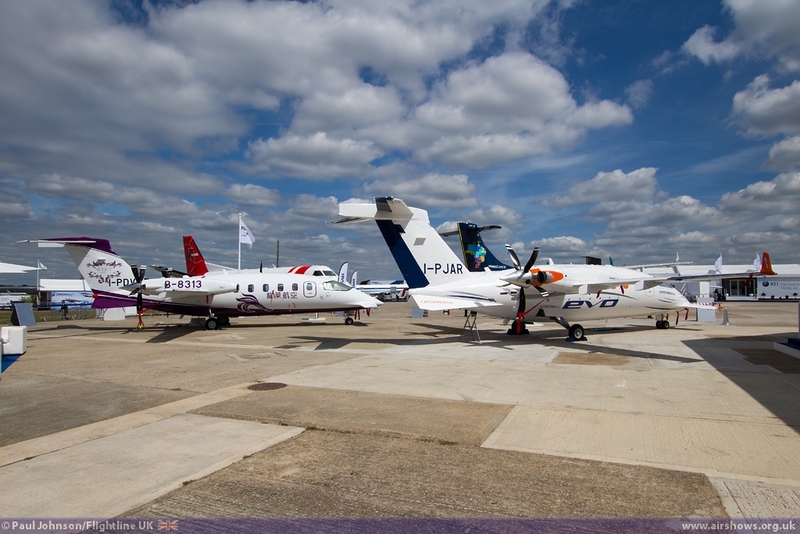 Much of the static park was dominated by business aircraft and commercial airlines. 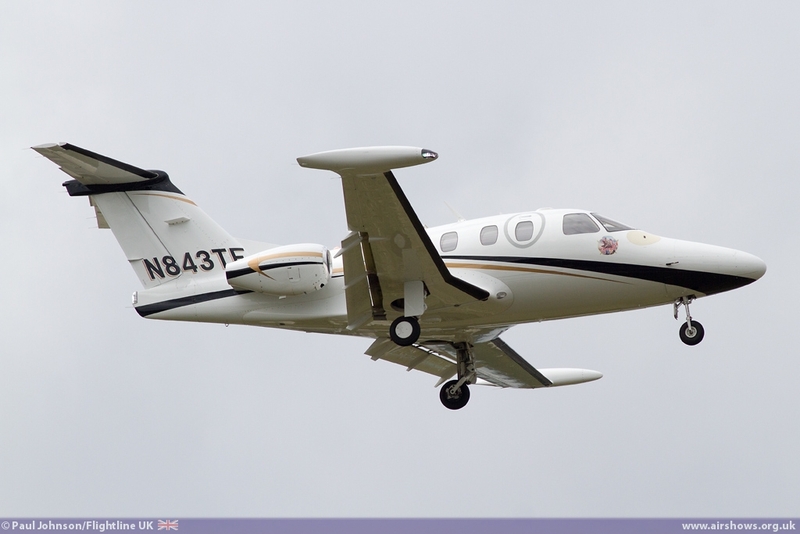 Bombardier in particular has an impressive line-up of its products including the Global Express, Learjet as well the Dash-8 Q400 and CRJ900NG wearing American Eagle markings. 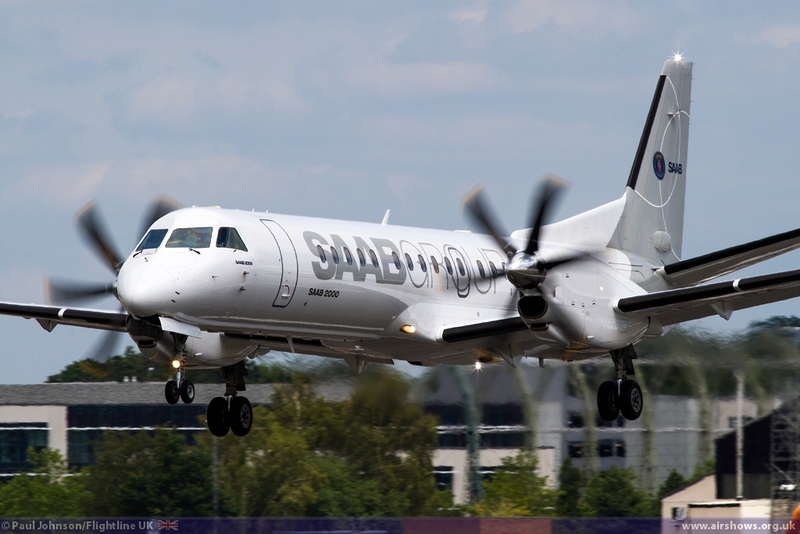 Embraer too had a good presence with the E190, E135R and Legacy 650 jets. 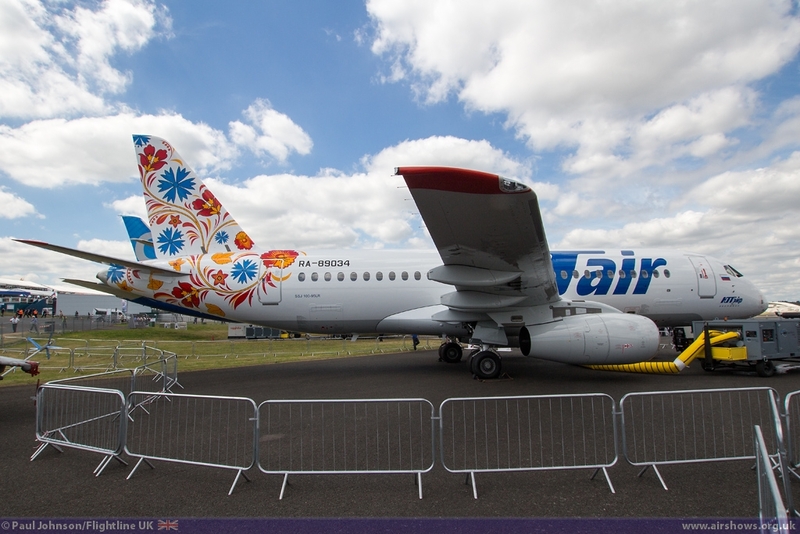 Notable too was the presence of Sukhoi and the Superjet 100 (as well as representatives from Russian industry in the halls) considering the recent tensions over the Ukraine. Farnborough is always a unique melting pot of new ideas. 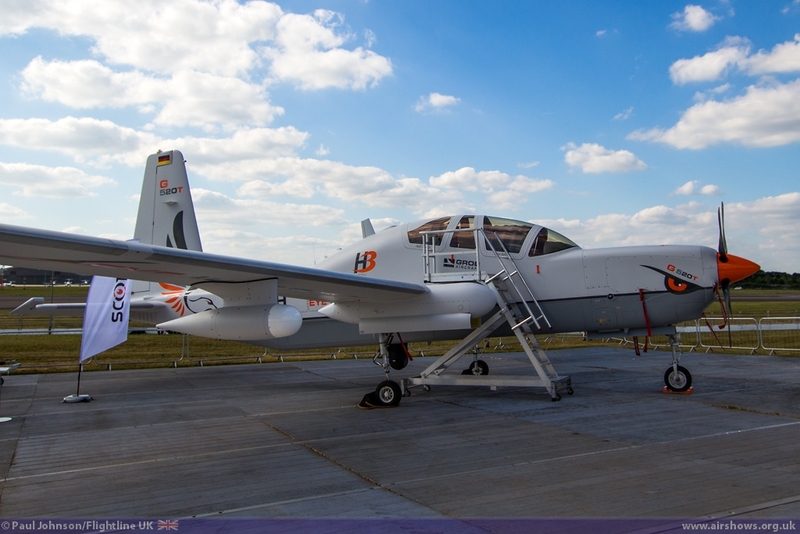 Before each flying display during the trade week, Unmanned Aerial Systems company TEKEVER demonstrated two of their products, the AR2 and AR4. 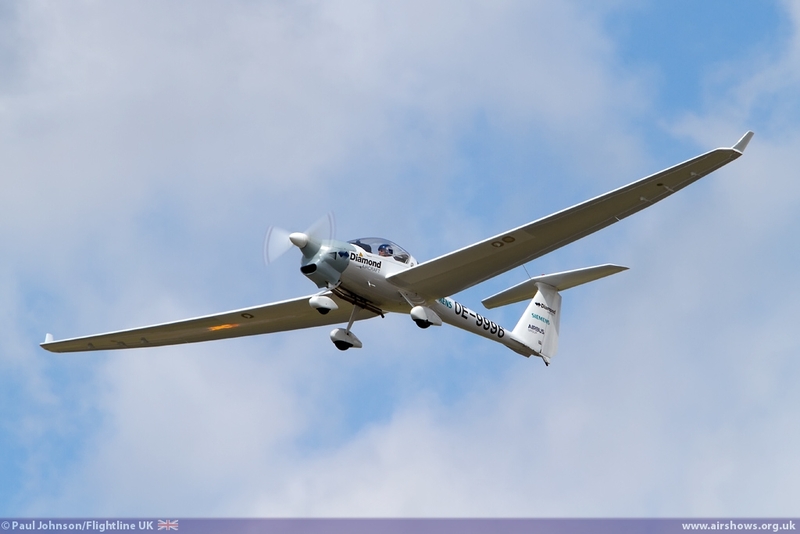 These very small and quiet UAS aircraft have been devised as simple to operation and highly portable surveillance solutions. 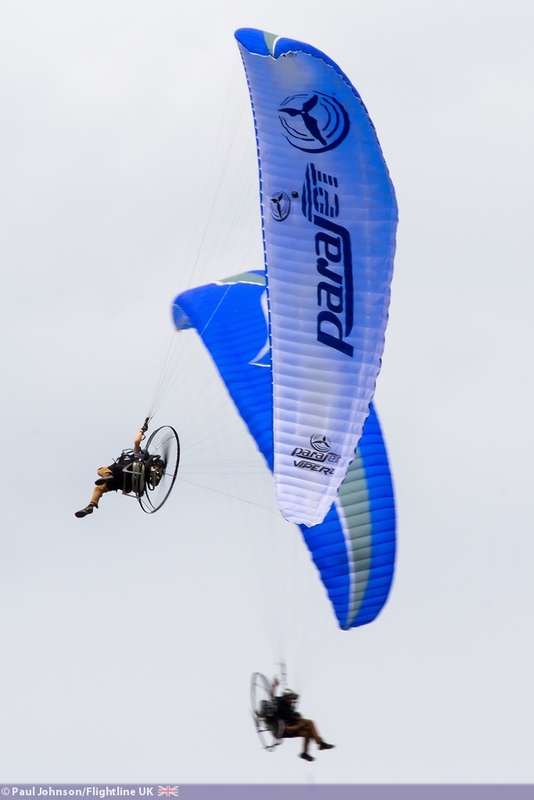 A completely different concept in achieving similar results was demonstrated by Parajet with two paramotors. 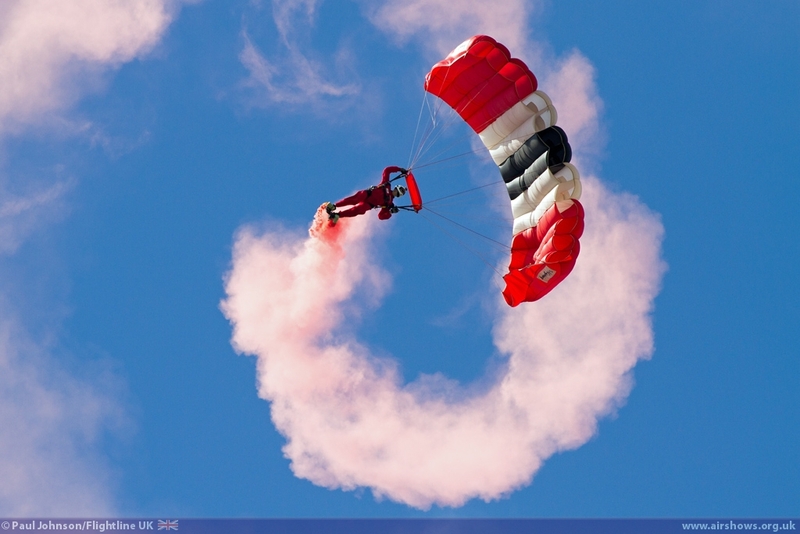 Paramotors offer a cheap solution to provide simple manned surveillance. 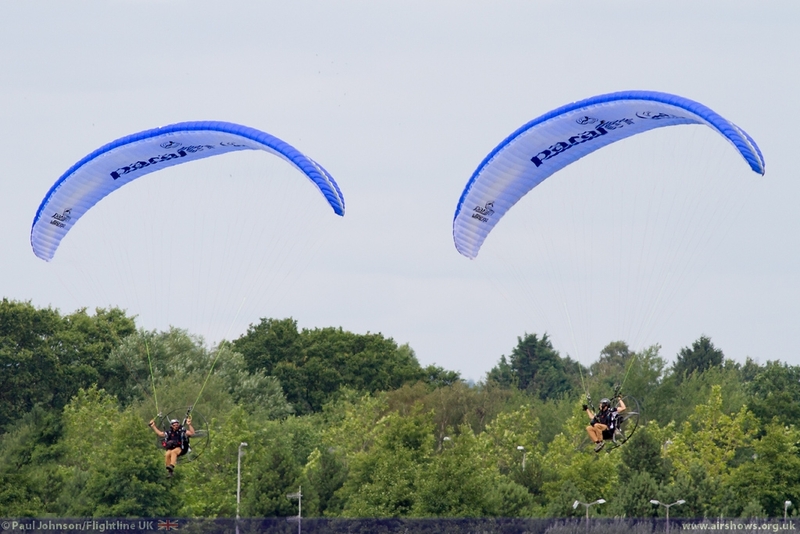 The Motorpacks can be fitted with a wide variety of payloads for missions requiring fully manned low and slow flight without the need for airfields. 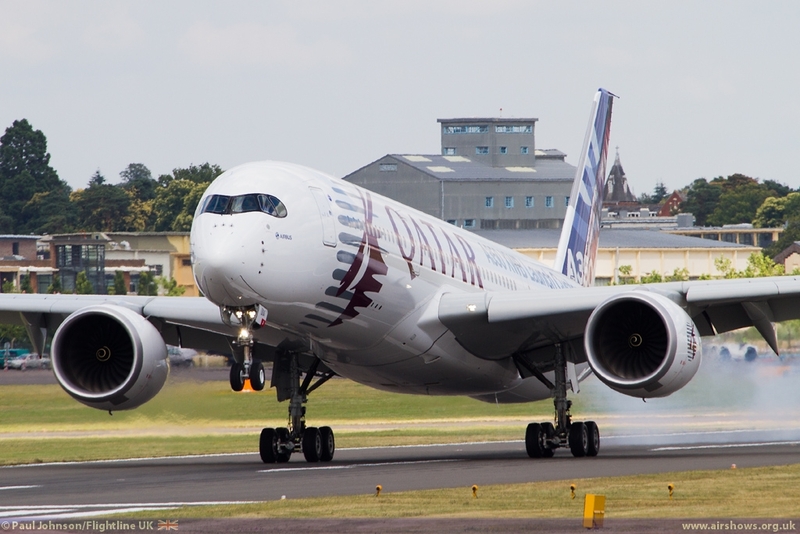 However, the entire show was dominated by Boeing and Airbus. 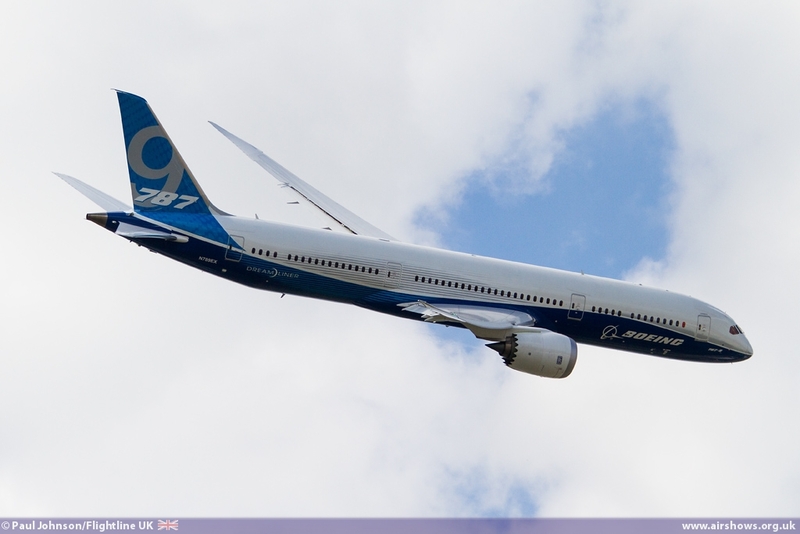 As well as the P-8A, Boeing demonstrated the 797-9 Dreamliner on each trade day. 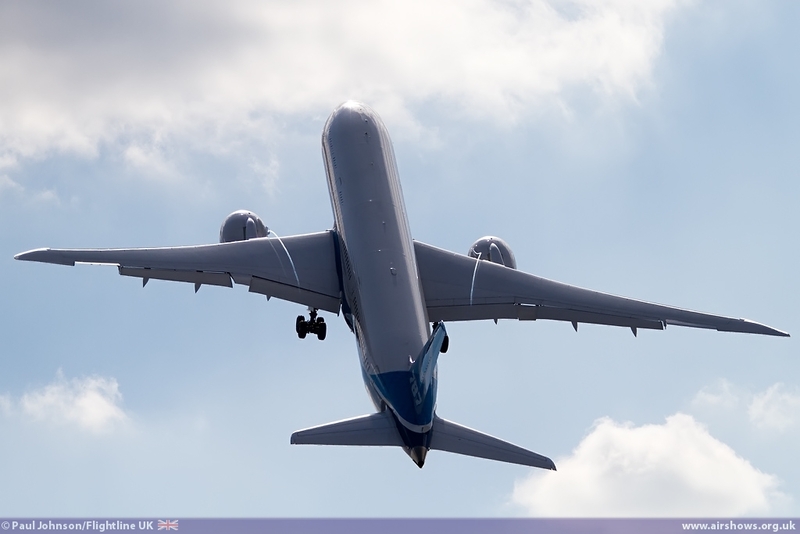 It was certainly one of the most dramatic displays by a Boeing product in many years and after Monday's opening display was curtailed somewhat after the flying control committee deemed the low overshoot and banked recovery a little too close to the mark! 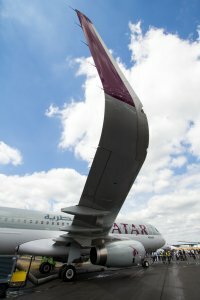 Qatar Airways also had one of their 787-8 on static show throughout the week alongside their Airbus A320 highlighting the incredible development of the Middle Eastern airline's fleet. 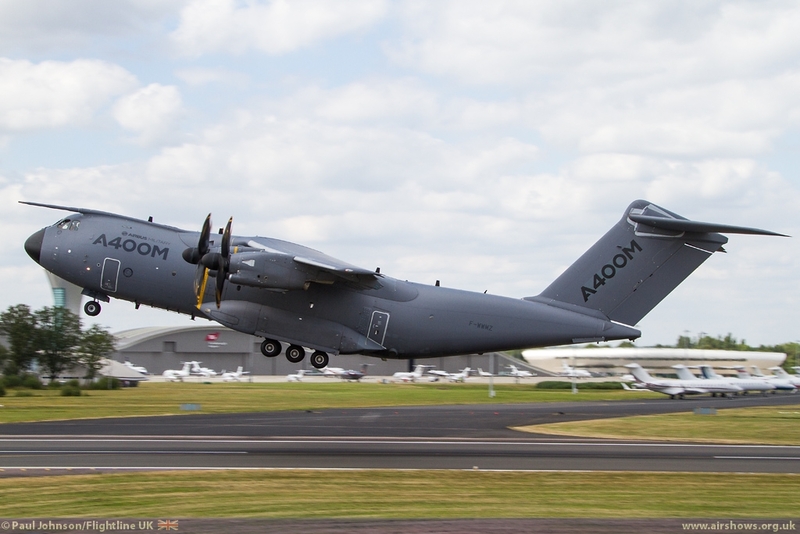 Airbus however made perhaps the biggest contribution to the show. 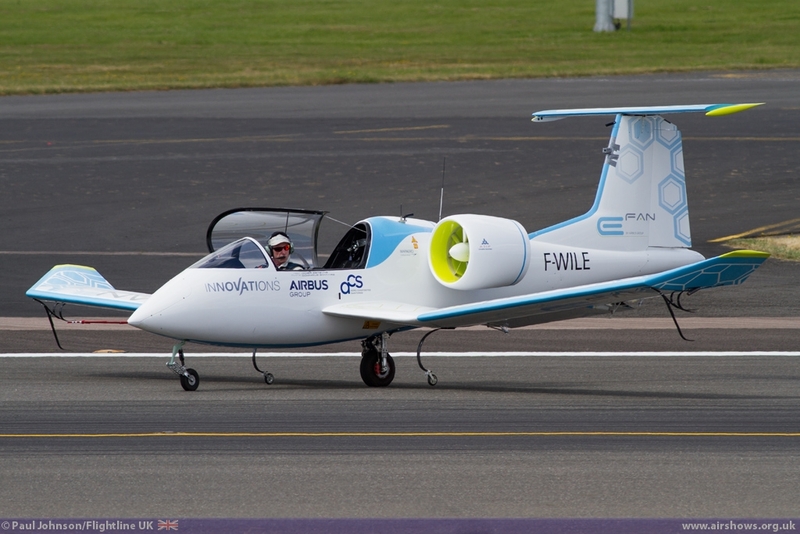 Their contribution started with some very interesting development aircraft exploring the possibility of Electric powered flight. 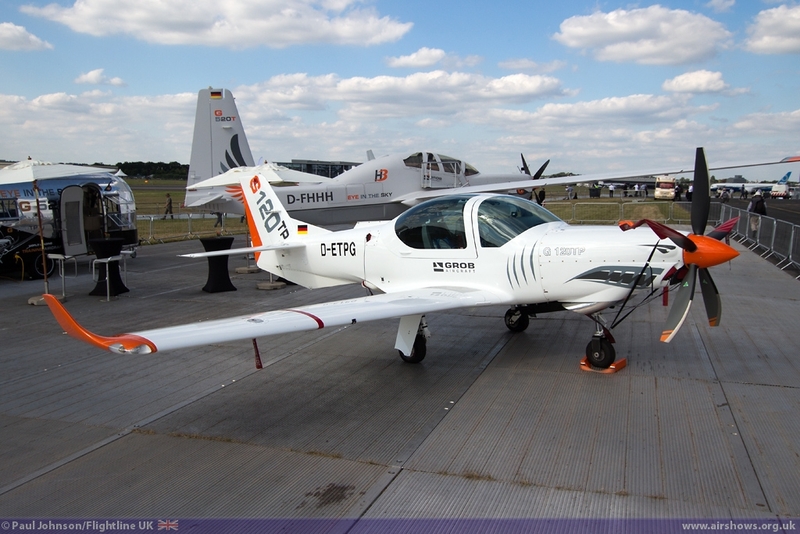 On show both in the air and on the ground were the Airbus developed Diamond E-Star and the Airbus E-Fan 2. 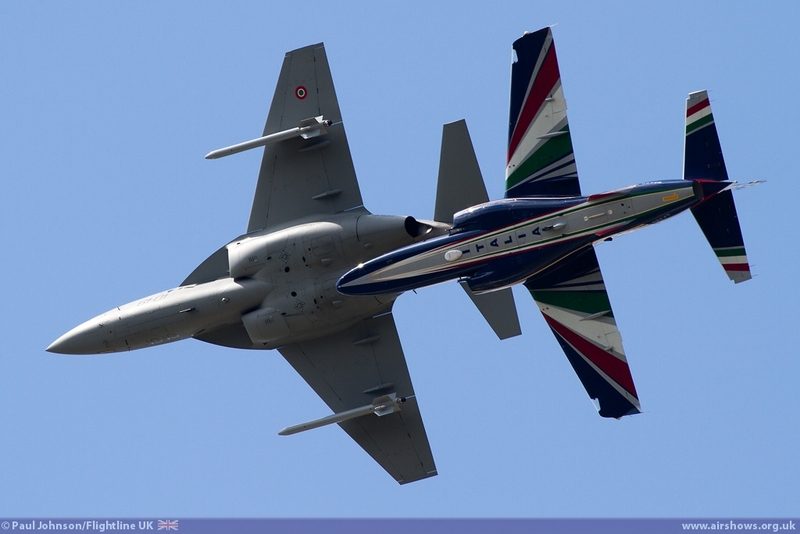 Both are remarkably quiet and exhibit some good performance. 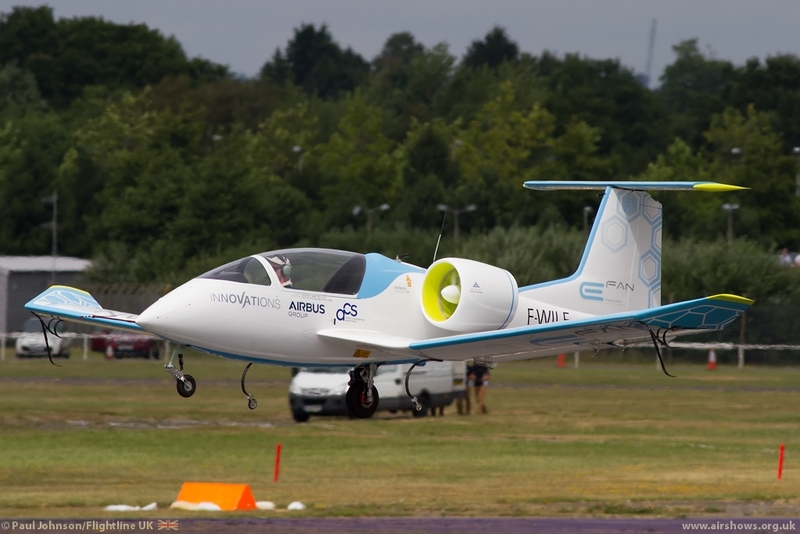 The E-Fan in particular is being pushed a potential affordable training aircraft promising one hour charging and low operating costs. 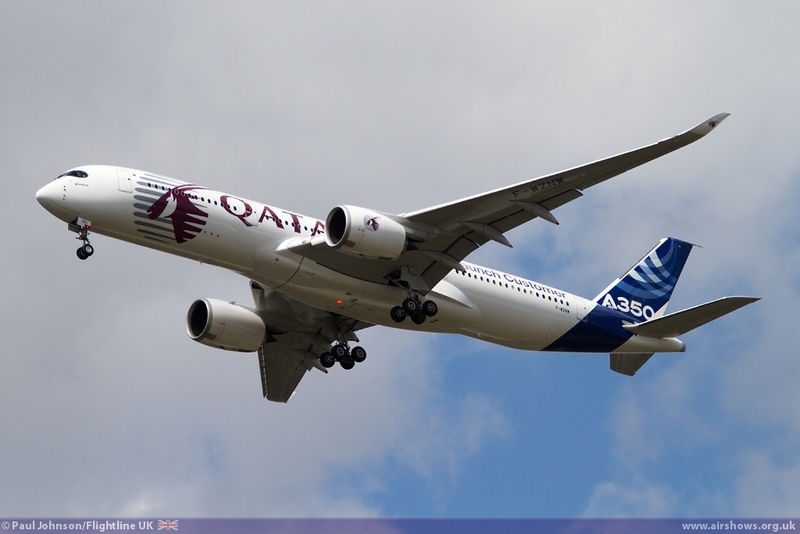 However, it is the Airbus Airliner range that proved to be the highlights of the show. 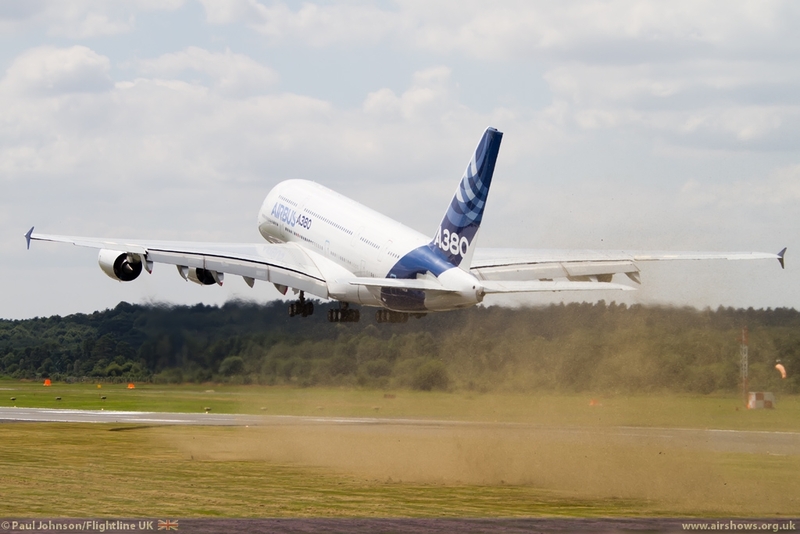 No matter how many times you see the Airbus A380 perform at Farnborough, it is still an incredible display. 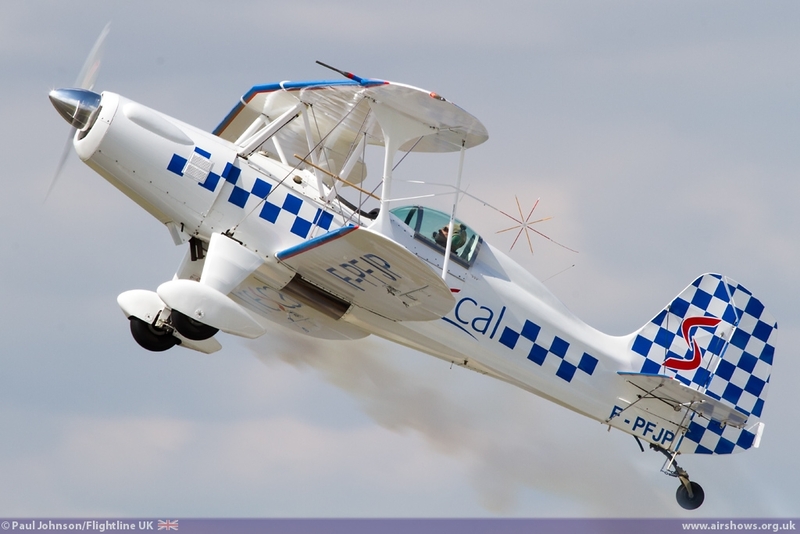 Seeing something that large that is quite so agile and yet elegant is truly astonishing. 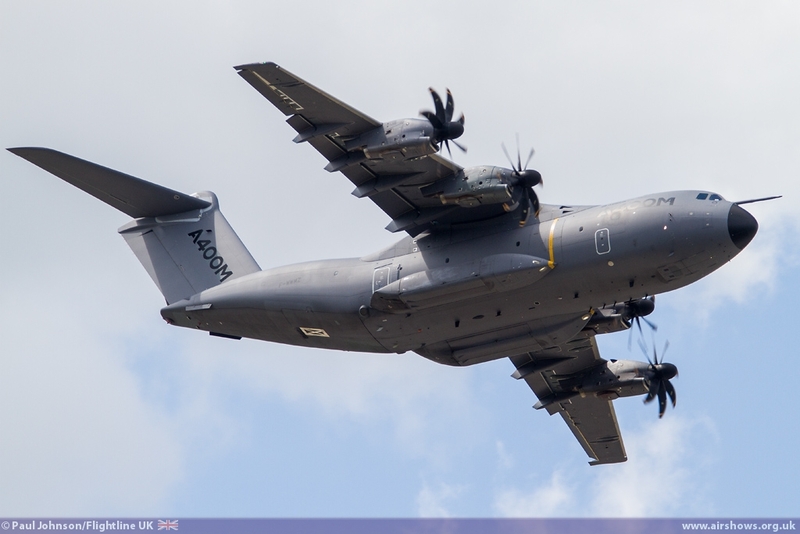 Airbus also had their latest product on show making its Farnborough debut. 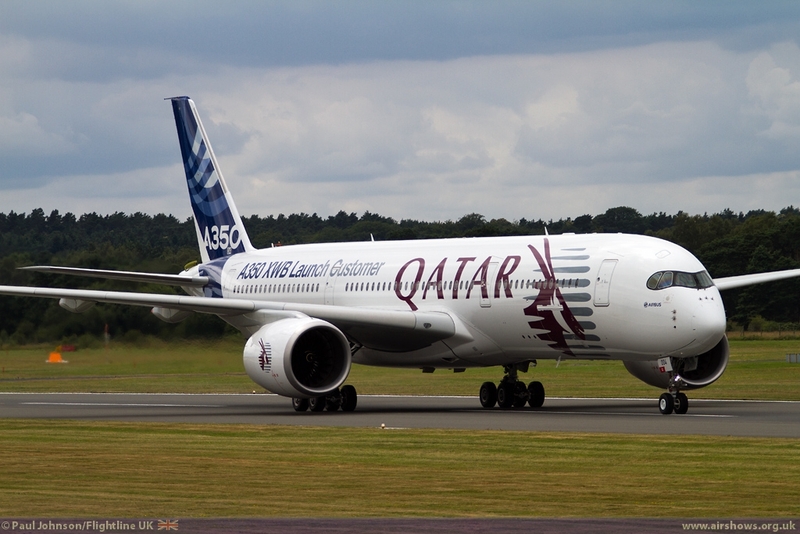 The Airbus A350-900 XWB (eXtra Wide Body) is Airbus' take on the new twin-engined super-efficient airliner and is certainly an impressive performed. Adding to Qatar's high profile at the show, the display aircraft wore the Qatar colours highlighting them as the launch customer for the new aircraft. 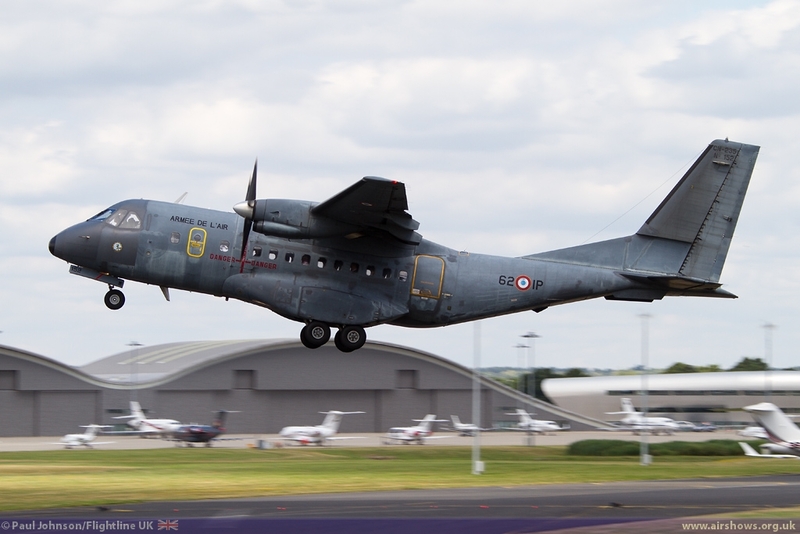 Airbus Military were also out in force. 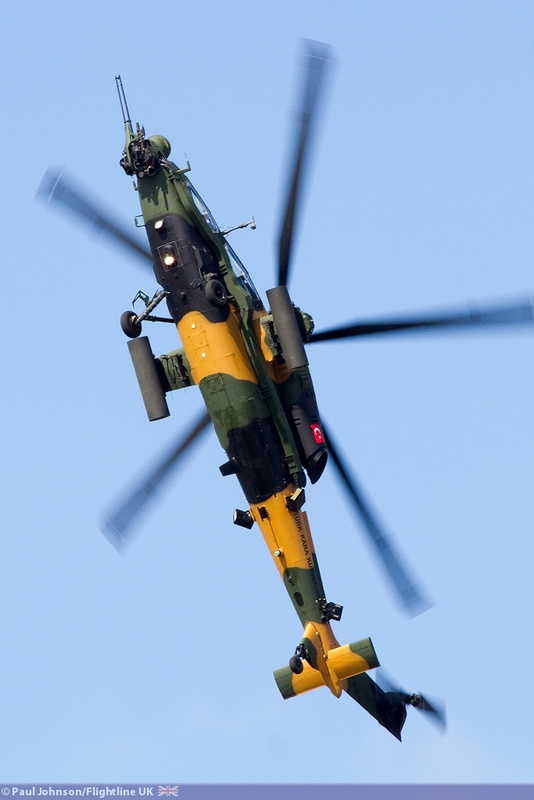 The CN295 design has proved to be particularly popular filling a wide variety of roles. 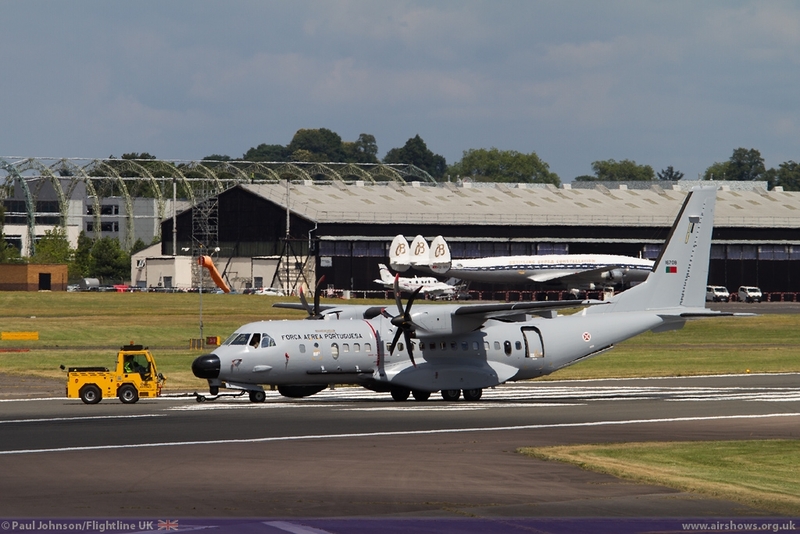 On static display Airbus has a Maritime Patrol variant from the Portuguese Air Force plus the CN295W demonstrator with its rather large winglets! 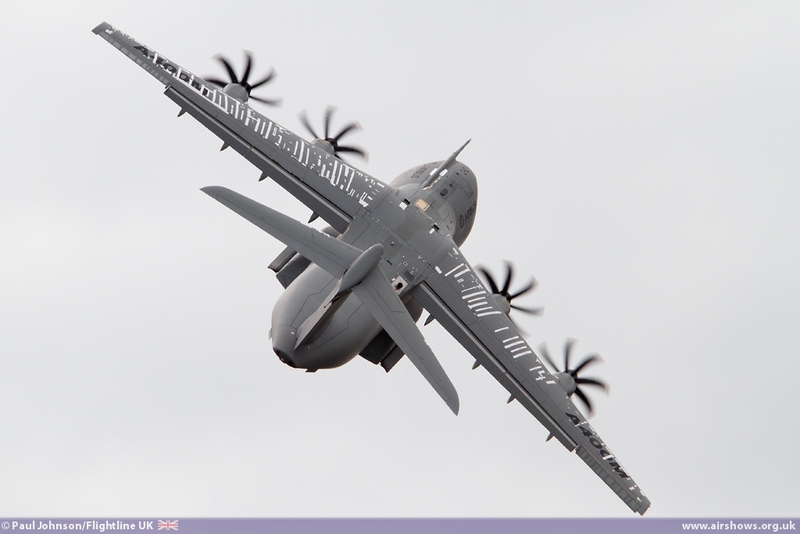 In the Air it was the A400M Atlas that took centre stage with a typical dramatic routine. 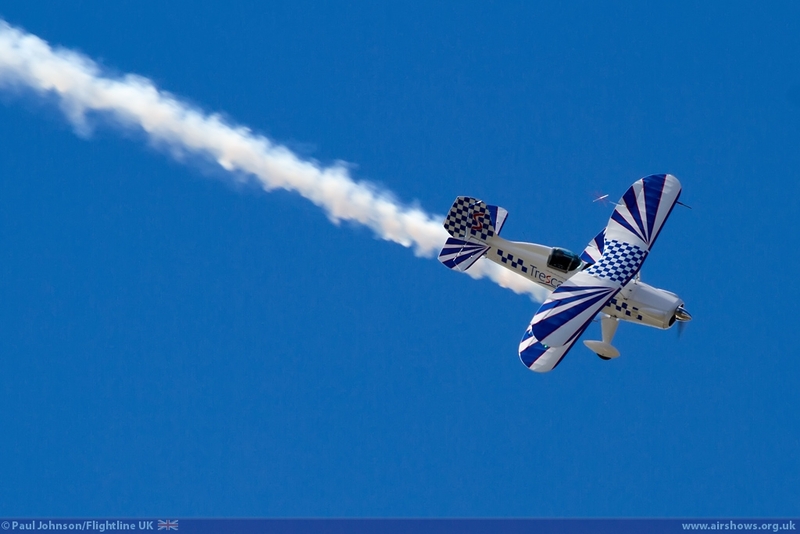 Alenia also highlighted it latest products in the flying display. 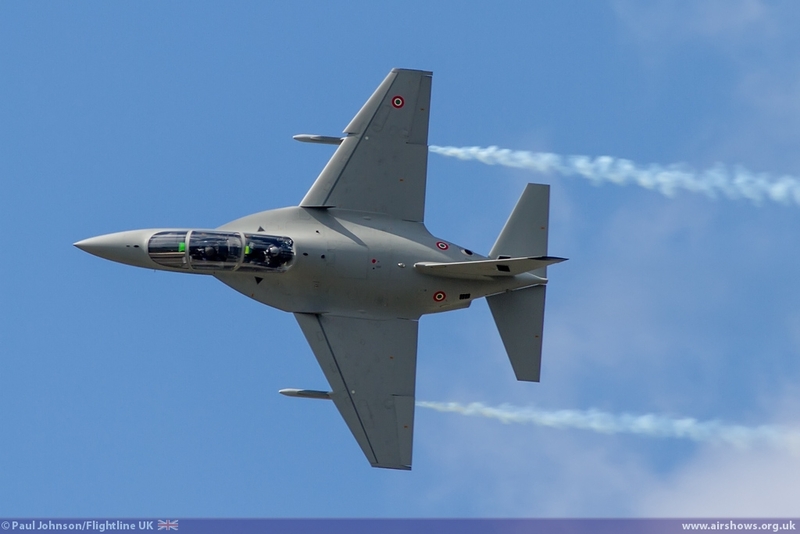 The quite punchy and noisy Alenia M346 Master flew solo displays most days. 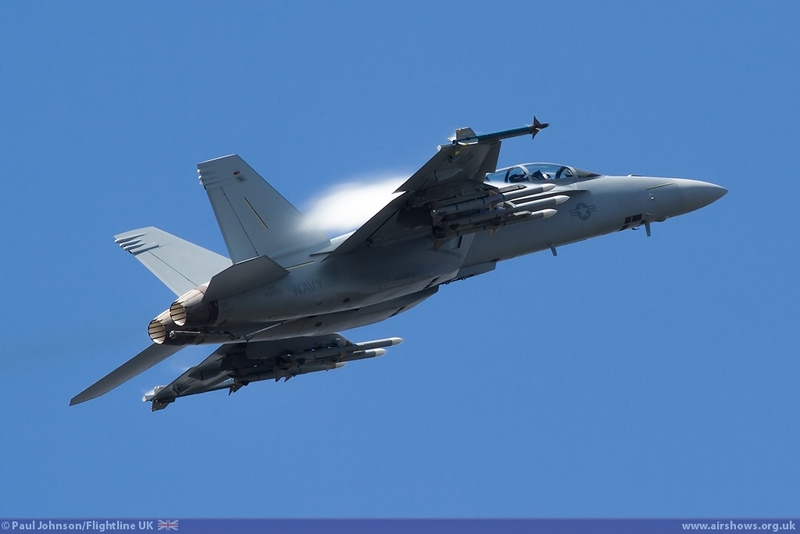 The aircraft certainly gave a great display with smoke streaming from smoke-winders mounted on underwing hardpoints. 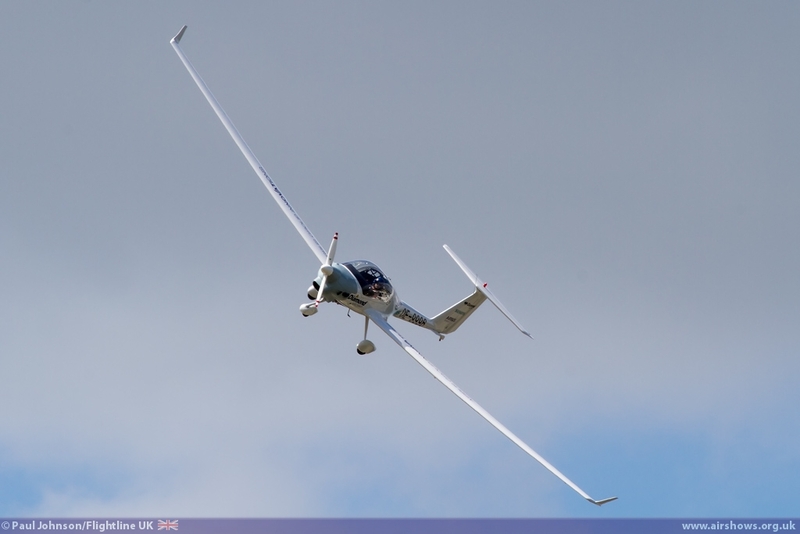 On certain days, it was joined by other types offered by Alenia to present a complete military pilot training solution. 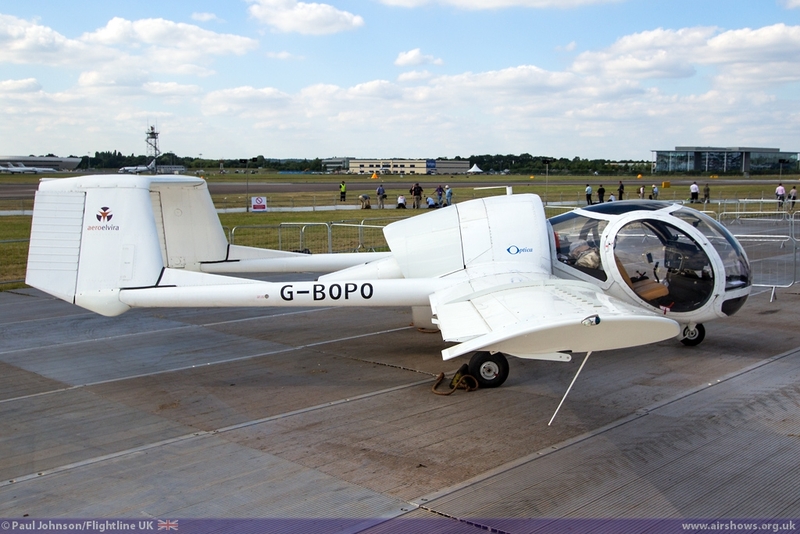 The Blackshape BS100 looked more like a home built, but represents perhaps the future of affordable basic training. 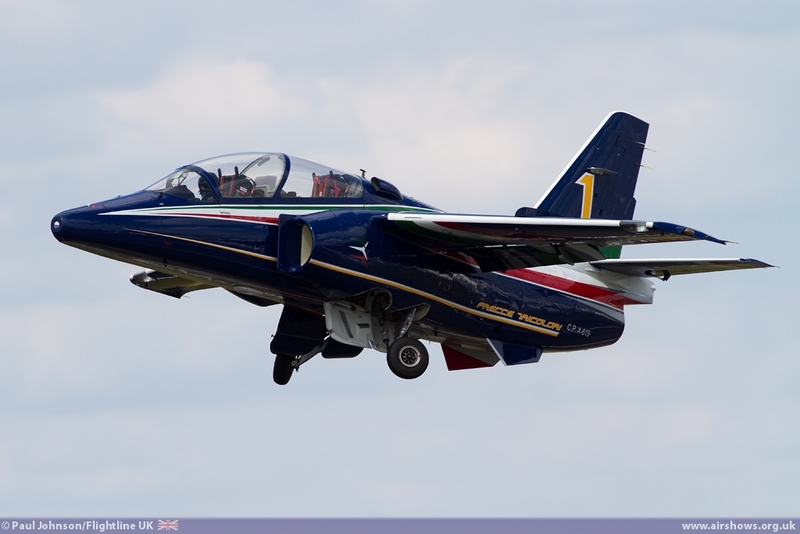 Staying with the affordable and efficiency theme, Alenia also had their new M345HET (High Efficiency Trainer) in the flying too wearing the colours of the Italian National Aerobatic Team, Il Frecce Triolori. The type will replace the teams aging AT-339PANs in 2017. 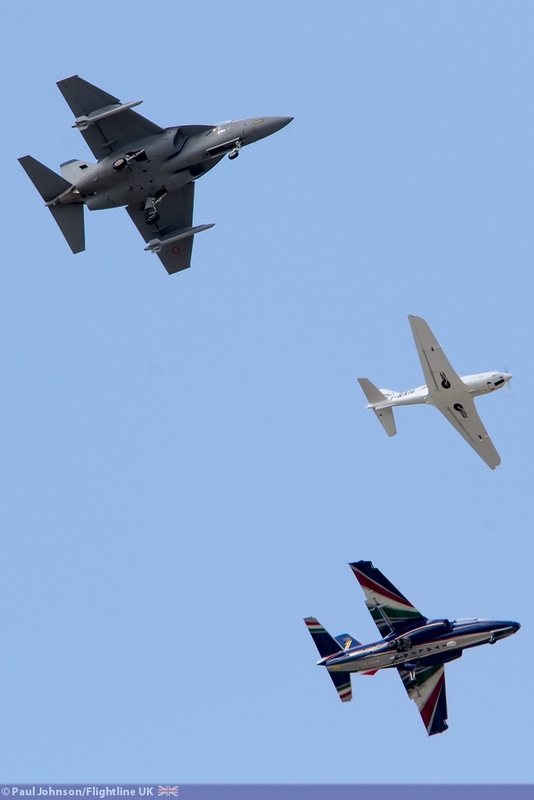 All three aircraft formed up for a formation flypast which was certainly impressive considering the wide performance range of the three aircraft before they split for solo routines. 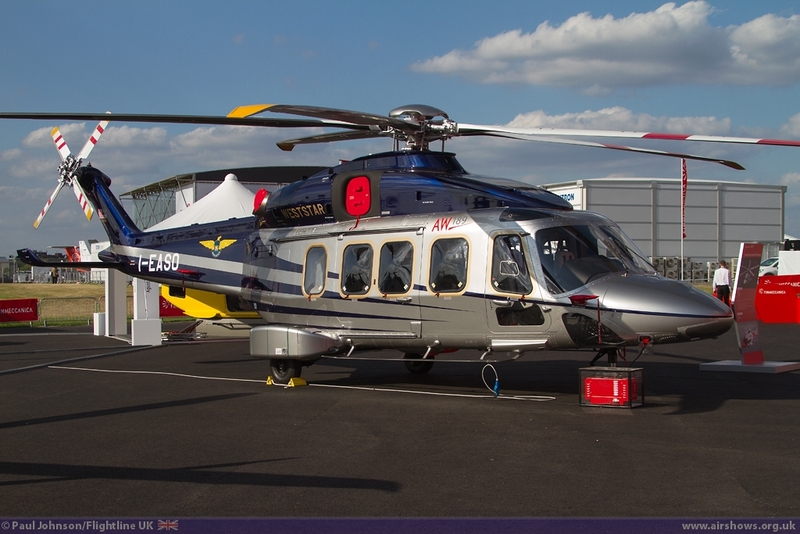 Alenia are part of the Finnimeccia Group which always has a large exhibition on the ground. 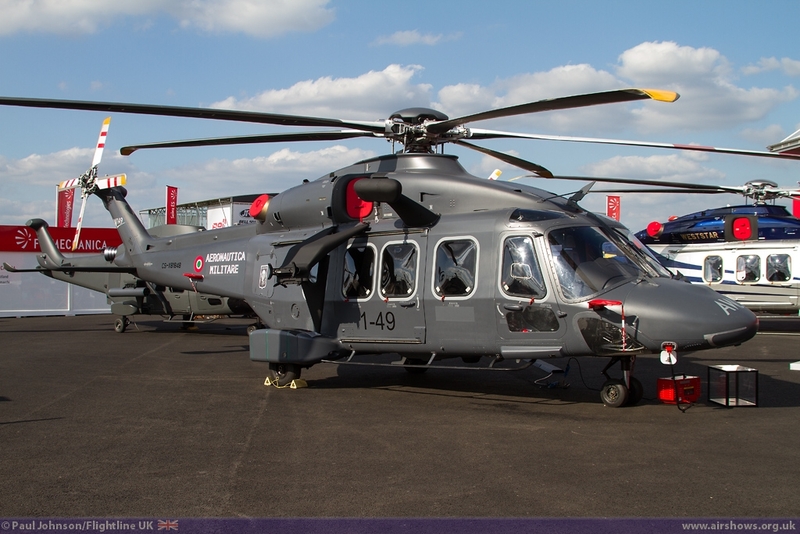 There were further examples of the M346 and a M345 replica plus a raft of helicopters including Italian military examples of the NH90, AW149 and the new HH-101A Caesar Combat Search and Rescue aircraft. 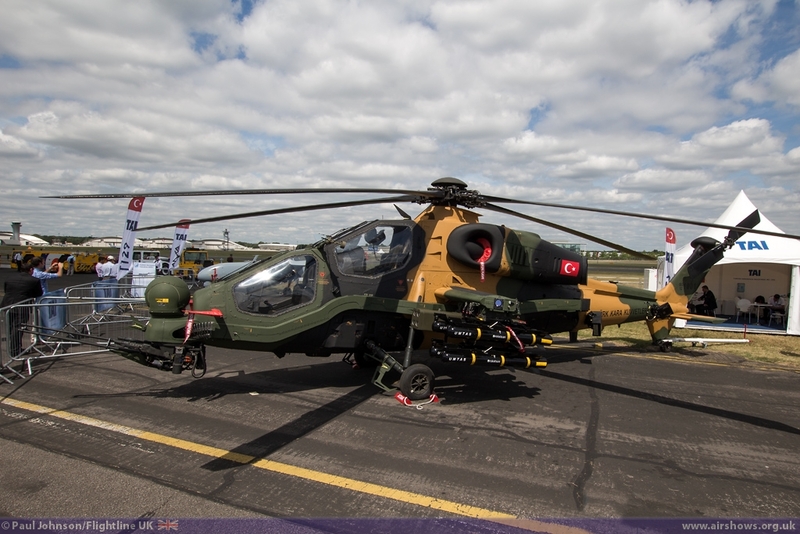 Turkey's TAI was a welcome addition to the Farnborough exhibition, and throughout the trade days they demonstrated the T129 ATAK helicopter in the flying display as well as their UAV on static display. 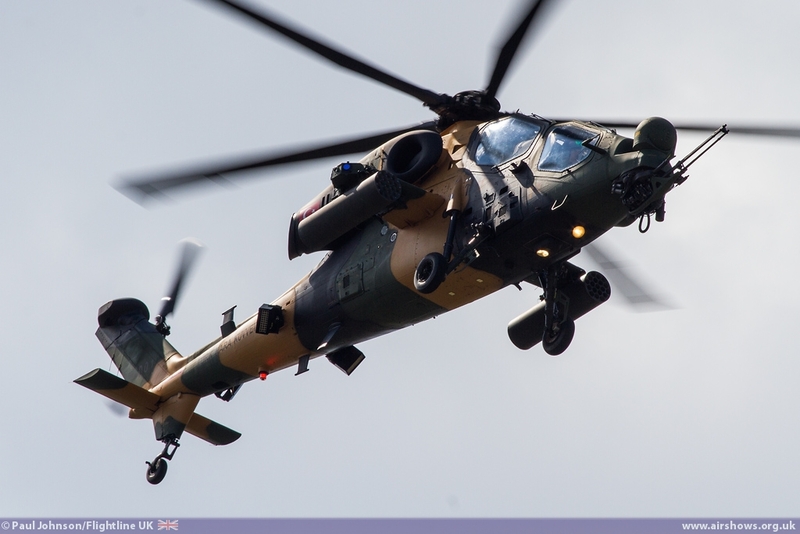 Based on the Agusta A109 Mangusta airframe, the ATAK has been brought right up to date by TAI in collaboration with AgustaWestland. 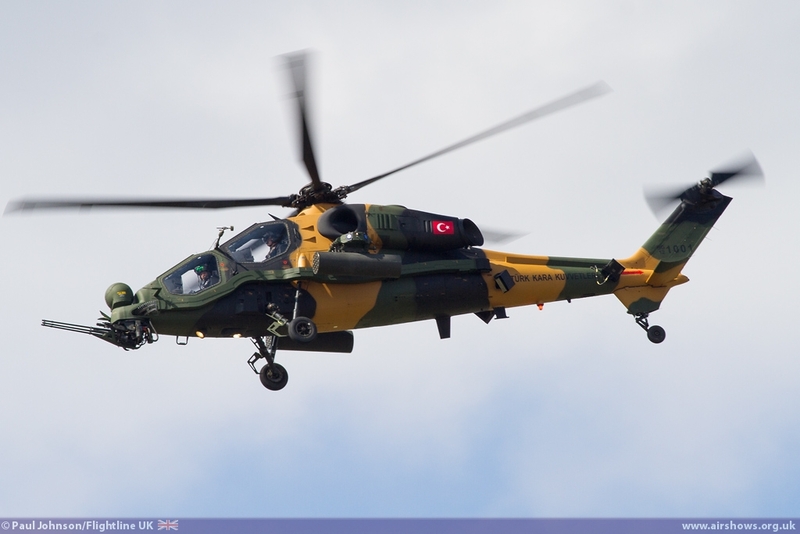 In its smart Turkish military camouflage, it is certainly a purposeful looking piece of kit and is now being offered for export. 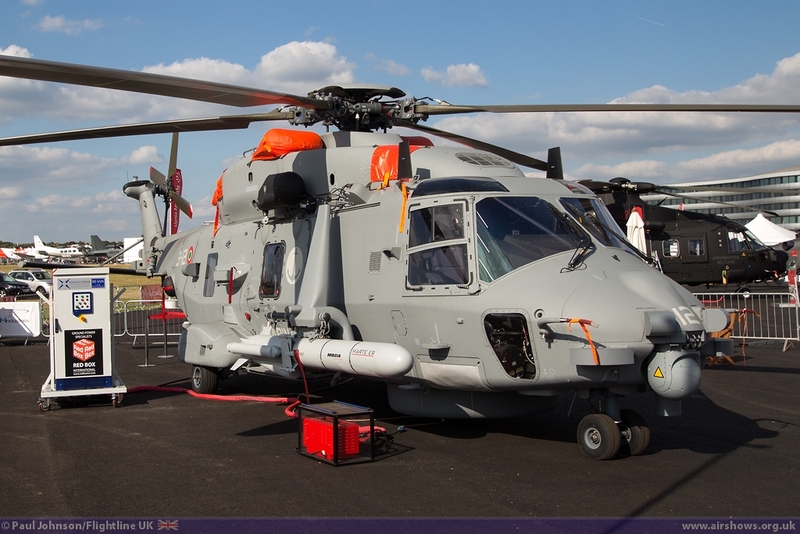 BAE Systems had the usual big exhibition based in the FIVE Exhibition centre. Much of their publicity was based around the Red Arrows 50th Display Season so it was apt to see one of the Gnat Display Team's aircraft on show alongside the RAF Hawk T2 at the exhibition entrance which not only looked at the company's current technology, but also included many tributes to some of its historic projects such as Concorde and the Lancaster. 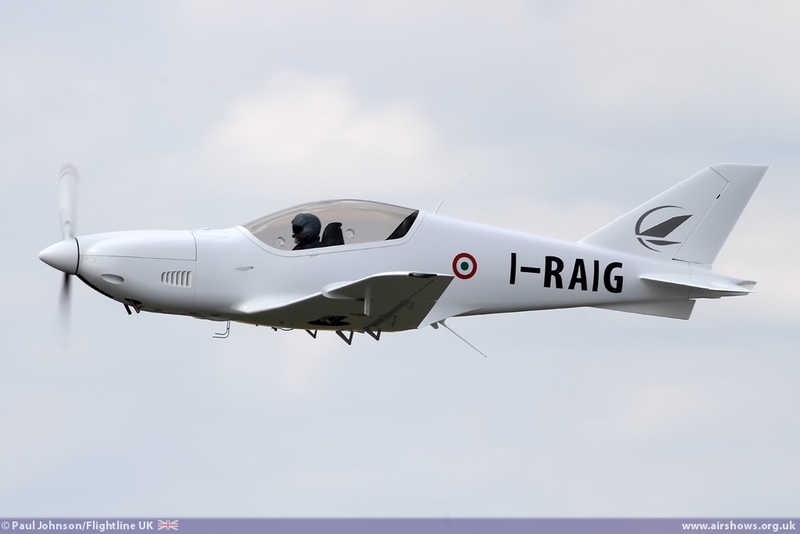 Eurofighter Typhoon was very much in evidence too with a replica and static example. In the air, the RAF's solo display pilot Flt Lt Noel Rees gave daily displays in 29 Squadron specially marked pair of Typhoon FGR4s. 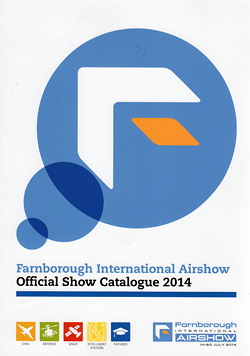 In the round, Farnborough 2014 was extremely successful during the trade week. 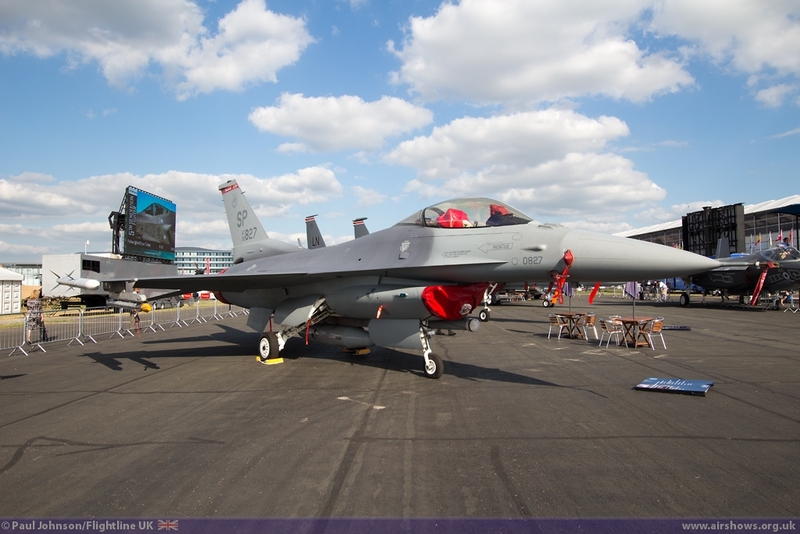 By the close of the trade exhibition, the confirmed total sum of orders and commitments at the Farnborough International Airshow reached US$201bn, beating all previous records set for the show. 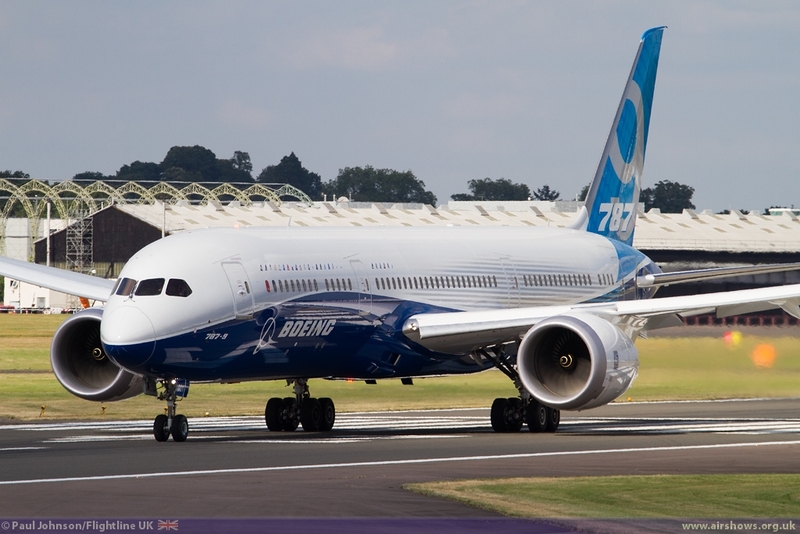 Speaking about these figures, Shaun Ormrod, chief executive for FIL said, "We are extremely pleased by these numbers, there is already an order backlog and these additional orders will keep manufacturers in business and people employed for some years to come. 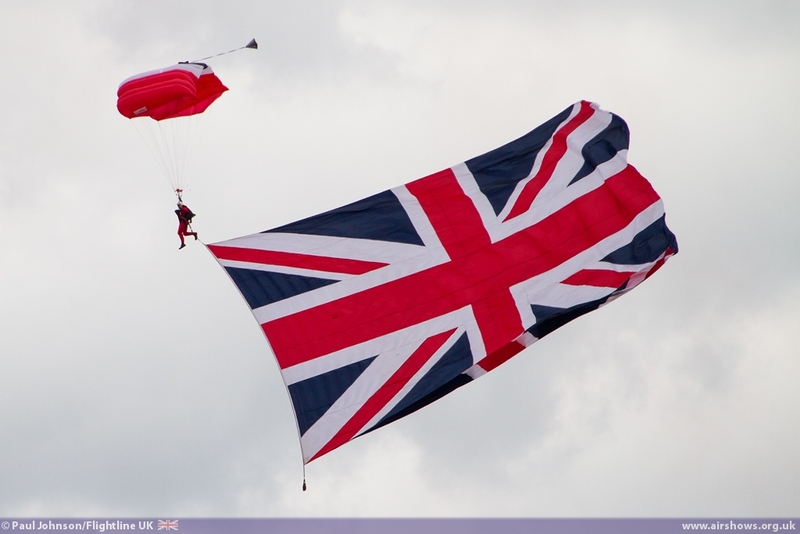 Great news for UK business and the economy."